Did Tekashi 6ix9ine take out a hit on Chief Keef’s right hand Tadoe? Tekashi69 is the top trending topic online all of last week going into this week. Every day a new story comes out that paints a grim picture for his criminal defense, so his lawyers have all rights to be fighting back about some of these claims. In a video released by TMZ a few days ago, 6ix9ine was seen talking to rapper Tadoe on FaceTime. It wasn’t just some random FaceTime conversation. Tekashi 6ix9ine and Tadoe hate each other, and as a matter of fact, all the rappers from Chicago hates 69 and want to see him go down. The problem with this video is that 69 appears to implicate himself in an attempted assassination of Chief Keef and an alleged hit on Keef’s cousin, Tadoe, whom he was talking to in the video clip. At the end of the video, Tekashi69 brags to his crew about taking out a $30K hit on the Tadoe. 69 also asked him if he was going to be at the same hotel as Chief Keef in New York City where the shooting went down in June of this year. An attorney posted a video on social media addressing the allegations saying that the rapper ordered beer for Tadoe, not a hit as previously reported. “I got a 30 pack on him right now, a 30 pack, I swear to God I got a 30 pack, 30 thousand cash,” the Brooklyn rapper said in the clip. Beers usually come in 6 packs, not 30. P.S. 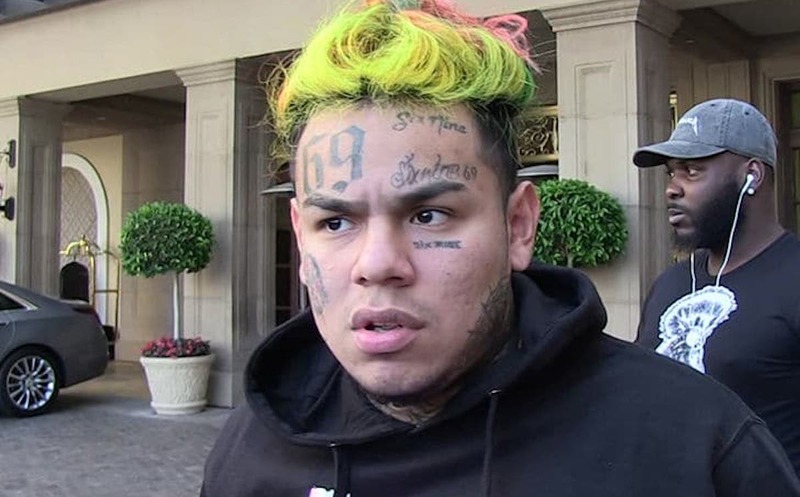 we don’t know if this attorney represents 6ix9ine or not.